On Friday, June 26, 2015, the National Narcotic Agency (BNN) celebrated the International Anti-Drug Day at the presidential palace, and was attended by the President of Republic of Indonesia Mr. Joko Widodo (Jokowi), some ministers from the Jokowi Cabinet, and some activists from anti drug movement in Indonesia. The grand theme of the celebration was â€œAddiction can be prevented and curedâ€, and it was in line with some efforts of BNN to prevent consuming drug by giving the early warning to the families, school principals, colleges students and other social organisations. Those efforts are also intended to help healing some victims of drug abuse either by medical approach, psychological treatment, or spiritual training. The United Nation (UN) decided June 26 as the day of anti drug, as the appreciation to the struggle and the heroism of Lin Zexu (1785-1851), an honest officer during the Emperor Daoguang of the Qing Dynasty in China. It was described in an article titled The Opium war, China and the West, reprinted from â€œChinaâ€™s Response to the West a Documentary Survey, 1839-1923, by Ssu Yu Teng and John King Fairbank, published by Harvard University, 1954, that Lin was dispatched by the emperor Daoguang to Canton to control opium import from Britain and other countries in the world, and he blocked Canton Harbour and hada large quantity of opium seized and destroyed. The British Empire responded by attacking Canton and other Chinese ports, because opium was one of the legal commodities to be commercialised at Europe and Middle east countries. Finally, Lin Zexu wrote a letter to Queen Victoria of British Empire, and said China has sent some good commodities to Britain, such as tea, porcelain, silk and spice, but why Britain gave poison for Chinese people. Â Â Â Â Â Â Â Â Â Â Â Not only that, Lin also arrested approximately 1,700 Chinese opium traffickers, and seized 70,000 opium pipes from the merchants and users. And along with that, for humanity reasons, Lin did a brave action against the tide refusing opium from Britain or other countries in the world by opium war. His action at early of nineteenth century was appreciated by the world today as represented by the United Nation. 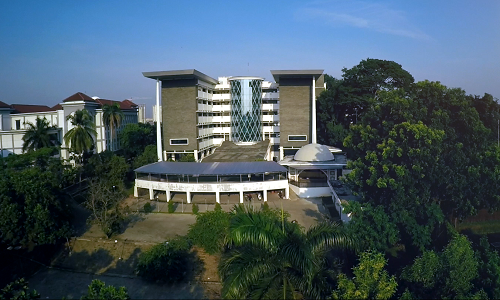 In this momentum, State Islamic University UIN Syarif Hidayatullah Jakarta, in cooperation with the BNN from Jakarta province, campaigned simultaneously via Friday sermon tribune, to give early warning for all Muslims and citizens from Jakarta to always be alert of drugs, and all family members can should be avoided from it. It is important because the number of users in Indonesia tends to increase. According to the data of the beritasatu.com that drug users in 2015 can reach 5 million users, while in 2013 it has already reached 4.5 million or about 2,2% of the total population of Indonesia . Â Â Â Â Â Â Â Â Â Â Â Whereas, in this 21st century, Indonesia will face a monumental period in the history of the nation, which is one hundred years old at 2045. This momentum is predicted to be the golden period of Indonesia as the one of big counties in the world, due to a very strong demographic composition. It is described in Indonesia Educational Statistics, published by the Ministry of Education and Culture, year 2012, that the demographic composition of Indonesia today, those which will be the productive citizen year 2045 is about 101 828 000 people, with an age range 0-23, and they are now following all education programs since early childhood education until college either in public or private schools and universities, general and religious education. In the year 2045 their age will be in the range 33 to 55 years old, and obviously they should be the one who fill in the whole positions of the professional works in this country such as businessmen, politicians, bureaucrats and other services. If they consist of the smart, creative and innovative people, then ASEAN, and maybe even the countries of Asia Pacific, would be filled by Indonesian professional workers,. However, if they consist of weak people that are left behind, unintelligent, uncreative and not innovative, or even just the sick people, drug dependence, it would be disastrous and big burden for Indonesia to solve the upcoming problems. Â Â Â Â Â Â Â Â Â Â Â If they are intended to become good citizens by giving them better education, they will have the compatible skills, expertise, good character by having patriotism,highly competitive mentality with other people from other nations in the world, It will make Indonesia as one of the greatest country amongst other countries in the world. 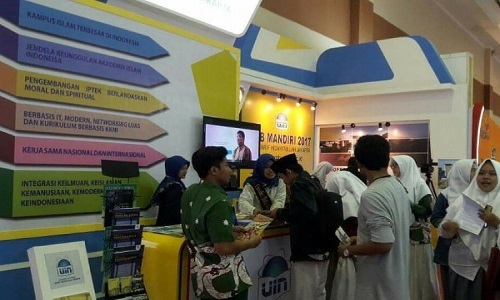 Therefore, education should be reformed by balancing the intellectual education, skill and expertise and also moral education and character to make the people of Indonesia become creative, innovative, openness, tolerant, honest and full of integrity citizens which have good religiosity and nationality. This conclusion is in line with the statement from Saydina Ali in fourteen centuries ago; “Teach your children beyond what you are doing today, because they will live beyond your age. Do not force them to do something you are doing today, because they will live in a different era â€œ. Â Â Â Â Â Â Â Â Â Â Â Based on the theory of four (4) H education (Head, Hand, Heart, and Healthy), there are at least four intelligences that we have to prepare to every child through the process of guidance, training, education, supervision, monitoring and habituation, . It means that the childrenâ€™s brain intelligence should be trained by making them learning science and keep updating with the progress of science and technology.Their hand should also be trained in order to have good skills in accordance with technological advances at the time of the child’s school and complete the education process. Then, their soul have also to be trained, to become creative, innovative, keep going ahead people and can continually following the progress of science and technology, and also become the openness, tolerant people that keep maintaining the harmony in diversity, and to be honest in carrying out the mandate and work of the entire profession to comply with ethical norms and religious, and also having a national integrity, being proud of nationalism, and having the integrity to develop the nation. The last one is that they have to be healthy, physically and psychologically. Intelligence, skills, creativity and innovation as well as the various advantages of each of the nation, would have no meaning at all, if they are not healthy. We need to arrange the lifestyle for our children to have healthy living tradition of, including eating , resting, and exercising regularly. Hopefully, it will really contribute to the advancement of the nation in the future It will also help them to avoid, stay away from, and do not ever touch, contact, or associating themselves with drug or narcotic, psychotropic and addictive substances. Once we let a child having contact with the drug, it will be very difficult to get him/her out of becoming dependent on those illicit goods. Â Â Â Â Â Â Â Â Â Â Â Various hazards due to the use and/or abuse of narcotic drugs or hazardous materials among others are the physical damage and psychological disorder. Drug or psycho tropic users will have body freshness declining slowly and brain functions damaging. A studentâ€™s brain who uses drugs will be disturbed and then his or her brain’s ability to learn well will decrease because the physical organs of the brain are slowly damaged . Similarly, the organs of the heart, kidneys, liver and lungs, will also be damaged due to drug consumption, because drugs are not food. The brain function to record the data of knowledge, to analyse data, to create predictive calculations and other brain work, all will be lost and ruin, as a result undermined by drugs and psychotropic substances, as well as various illicit objects. To make it worse, there is no drug addict can maintain his health or to have a long period of living. Â Â Â Â Â Â Â Â Â Â Â Finally, it is a must for usto prepare the next generations, that will live in this world, as strong generations, better than we are, or at least equal to our strength. Do not leave descendants that physically weak, listless, and not swiftly. Therefore, when a mother pregnant, she should really pay attention to the nutritional intake, because the fetus in her womb must get a good nutrition, neither alcohol nor narcotics are consumed, because they will also be consumed by the baby in the womb. Similarly to other vital organs that must be maintained and preserved from infancy to adulthood. The organ such as brain, heart, liver and kidneys, would be disturbed if someone consumes narcotics, psychotropic or other addictive substances. Then, do not leave the descendants that are weak, either in their intellectual functions that reside in the brain, or mental function that resides in the heart. They should even be developed properly, do not let them to be distracted by the bad habits as the consequences of alcohol and drugs consumption. Also, do not ever leave weak generations that were caused by the lack of nutrition while in the womb or post natal period, or because of they are not well educated, that make them do not have the skills or expertise. Â Â Â Â Â Â Â Â Â Â Â To that end, on the occasion of commemorating anti drug day, we must have a strong determination to seriously preserve, maintain, monitor, and assist our children and our family members so they are not to be influenced by the drug, so that they can really become the golden generation of Indonesia, and will be colouring the progress of Indonesia in year 2045. They are Indonesian children who are intelligent, have a compatible skills and expertise, creative and innovative, and continue to fight for the progress of the nation, with an attitude of integrity and honesty, and are able to maintain their physical and psychological health as well. 102 million is not a small number for the development of the nation, and that number of people will be a serious disaster for Indonesia, if they are unintelligent, unskilled, and do not have the creativity and innovation, have no national integrity and also do not have the honesty. It will be even more serious disasters for the nation if they are consist of sick people who are not productive, especially if it is because they are drug addicts. Therefore, let us prepare Indonesia for a better golden period year 2045 with the intelligent, creative and innovative without drugs generation . 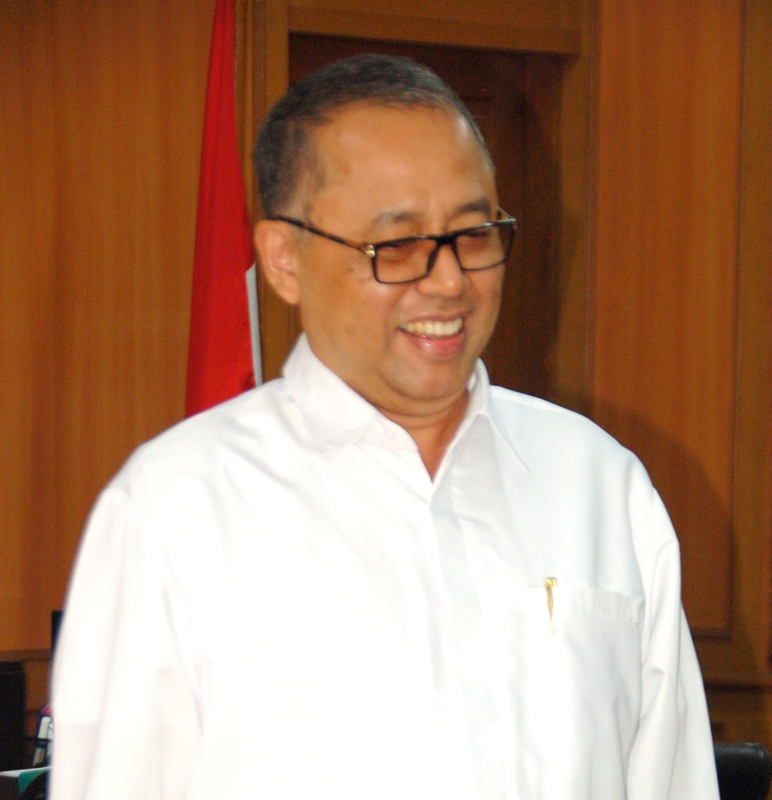 Gono, Joyo Nur Suryanto, Narkoba, Bahaya Penyalahgunaan dan Pencegahannya, ejournal Undip, 2011.
beritasatu.com, Jokowi Dijadwalkan Hadiri Peringatan Hari Anti-Narkotika Internasional 2015, beritasatu.com, Jumâ€™at 26 Juni 2015.URL? Lerner, Richard M, and Colleague, The Positive Development of Youth, Institute for Applied research for Youth Development, Tuft University, 2008. Perdue, Peter C, The First Opium War The Anglo Chinese War, Massachusetts Institute of Technology, 2010.